A BT plan to lay down £600 million to cover 99% of the UK with broadband risks ruining competition, a Scottish government minister has claimed. Scotland’s Rural Economy Secretary Fergus Ewing said in a letter to UK Secretary of State for Digital Karen Bradley that the investment “risks entrenching, even extending, BT’s monopoly position in rural areas”. “That would be a hugely negative outcome and one that would serve to undermine and frustrate the Scottish government’s digital ambitions,” he wrote. Mr Ewing seems to believe the BT plans would jeopardise the Scottish government’s own ideas on how to get to 100% broadband coverage. Political rivals have been quick to denounce Mr Ewing’s claims. 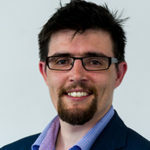 Scottish Liberal Democrat connectivity spokesperson Mike Rumbles MSP accused the Scottish Government of “getting its excuses in early”. The Scottish Government know they will struggle to fulfil their manifesto promise of 30Mbps for every home and business in Scotland by 2021. That is why they are getting their excuses in early. Any failure can be blamed on the UK Government, rather than admitting that it is time the Scottish Government put their hands in their pockets instead of relying on Broadband Development UK. BT laid out plans last month to invest up to £600 million in broadband infrastructure. It says everyone in the UK would be able to get broadband speeds of at least 10Mbps by 2020. Ofcom says around 1.4 million homes in the UK can not get 10Mbps. In June analysts reported that standard broadband, the old ADSL technology which promised download speeds of up to 17Mbps, had finally been overtaken by fibre broadband.